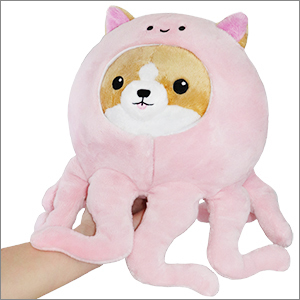 Undercover Corgi in Octopus: An Adorable Fuzzy Plush to Snurfle and Squeeze! I got my undercover octo-corgi in the mail about a week ago, and he is absolutely adorable. I love him so so much and I'm so happy I got him!